The collegiate navy and white men's squash Adidas Club t-shirt will please you for its elegance and its technical material that is very absorbing and breathable. 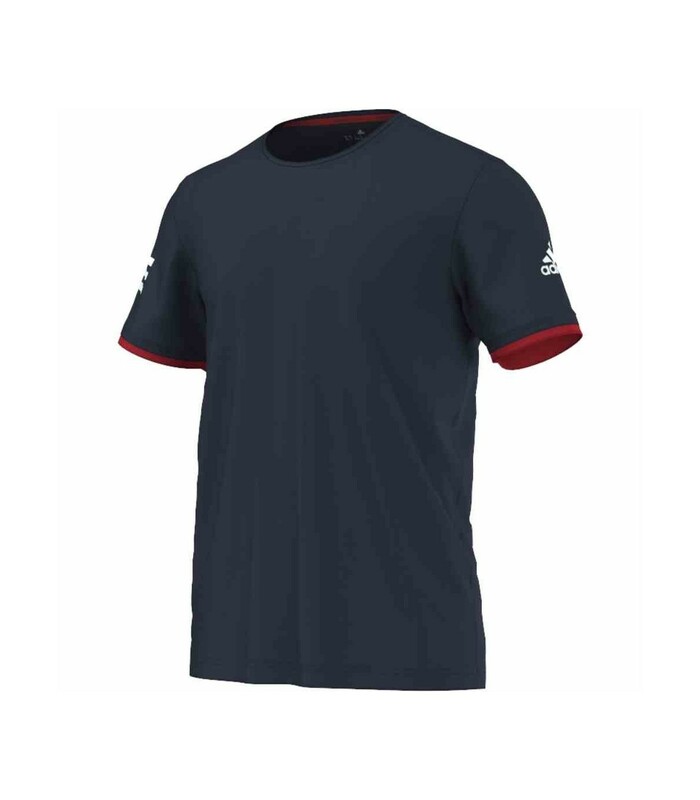 You will enjoy the cut, the design and the comfort of the collegiate navy and white Adidas Club men's squash t-shirt. 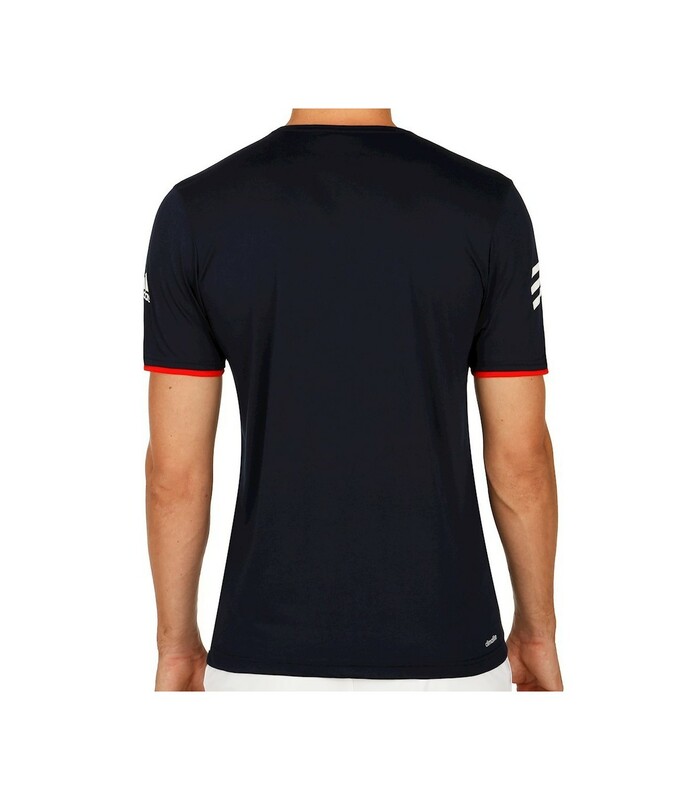 With its navy blue color, its white logo and its red sleeves, this squash t-shirt gives you a smart and dynamic look. Made of polyester, this men squash t-shirt is very extensible and adapts perfectly to your morphology. This premium squash t-shirt is very pleasant to wear. With its very absorbing properties and its breathable material, your body breathes and your sweat is quickly absorbed and evacuated. This squash t-shirt offers you an optimal comfort for a better performance on the squash court. 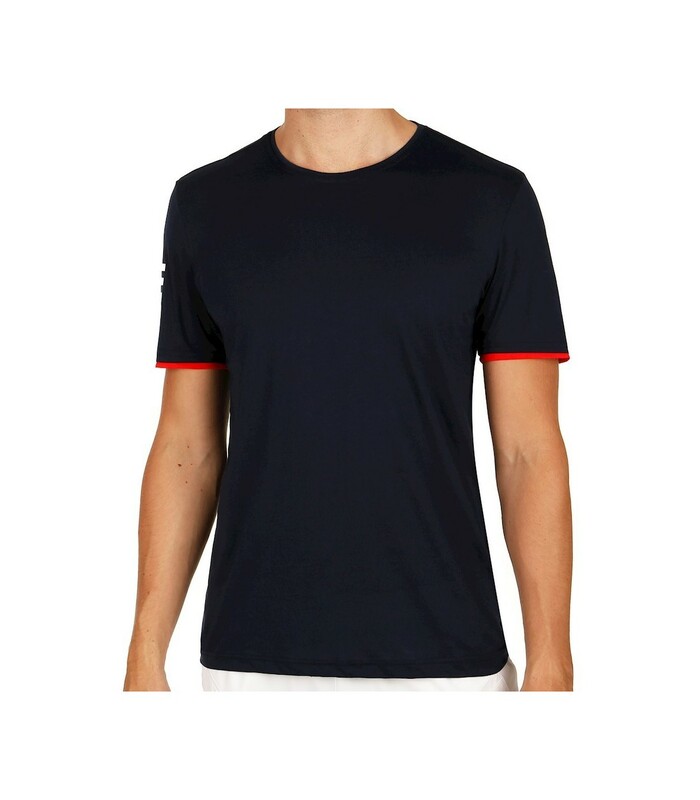 If you're looking for a durable, high quality, elegant and performant squash t-shirt, then the Adidas Club collegiate navy and white squash t-shirt is the right t-shirt for you.